BIT is a private university which was established in the month of August 1979 for imparting technical education to the students in order to maintain prosperity and growth in the economy. It is affiliated to the Visvesvaraya Technological University. The institute offers various graduate engineering courses to the students. It is located in Belgaum, Bangalore. It came into existence under the auspices of Vokkaligara Sangha, Bengaluru. It has been recognized by AICTE and has been accredited by NBA. The lush green campus of the institute accommodates the infrastructure including hostels, library, auditorium, conference halls, and seminar halls and so on. The college has a placement cell to guide students throughout and pre placement season. In the year 2018, over 350 students were placed into top notch companies. BIT’s Department of Management Studies (MBA) is affiliated to VTU and is approved by AICTE as a result of which, the institution follows norms and criteria laid down by the VTU Regulations. Under this, any candidate aspiring to seek admission for MBA has to meet the eligibility criteria of possessing a minimum of 50% marks in aggregate in the Bachelor’s degree; candidates from Karnataka who belong to the SC/ST and Category I need to have a minimum of 45% in the aggregate. Marks obtained by candidates in KMAT/CMAT/PGCET or any other national eligibility test are also taken into account. For applying to the institution, candidates first need to download the application form from the university website. An Undertaking form in INR 100 bond paper signed by both the candidates and their parents/guardians and also duly signed by a notary. The Undertaking form can be obtained from the college website itself. Resulting admission procedures presumably follow the submission of the application form, leading to an acceptance or rejection of the candidate in the institution. Hostel facility is available for girls as well as boys. The hostel mess supplies hygienic, well balanced and nutritious food and is run by the active involvement of students. At present B.I.T offers 9 undergraduate, 6 postgraduate and a PhD course(s) with a student strength of more than 2500. 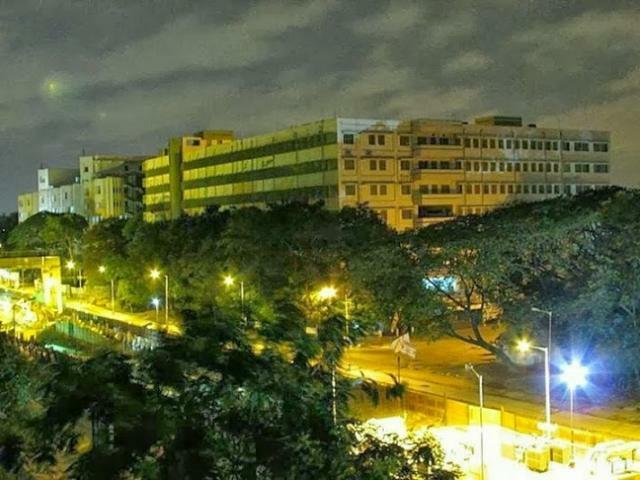 There are a number of centres carrying out inter-disciplinary research and many collaborative programmes exist between the college and other institutions, like IISc, N.A.L, etc. The college provides INDUSTRIAL CONSULTANCY AND RESEARCH CENTER. Besides this, the institute also offers the facilities like auditorium (1200 seating capacity), seminar hall, co-operative society, canteen. BIT teams have participated in various University inter-collegiate competitions such as volleyball, cricket, table tennis etc. The institute also organizes the “The Annual Athletic Meet” for students and its staff members in various sports such as cricket, football, volleyball, kabaddi, track events, carrom, chess, table tennis and shot-put. To pursue MBA at BIT students must satisfy following eligibility criteria. 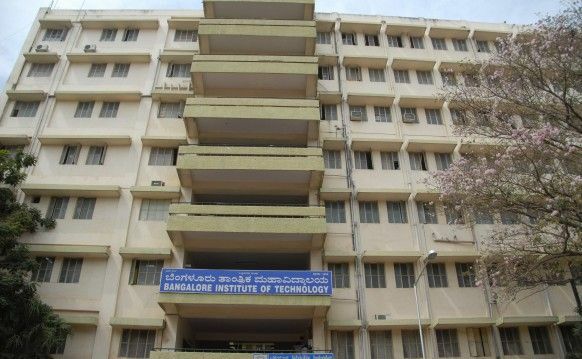 I joined Bangalore Institute of Technology last year. The students need to have passed 10+2 from recognized board for being eligible. I also appeared in COMEDK-UGET. The cut off for my course was around 1500. 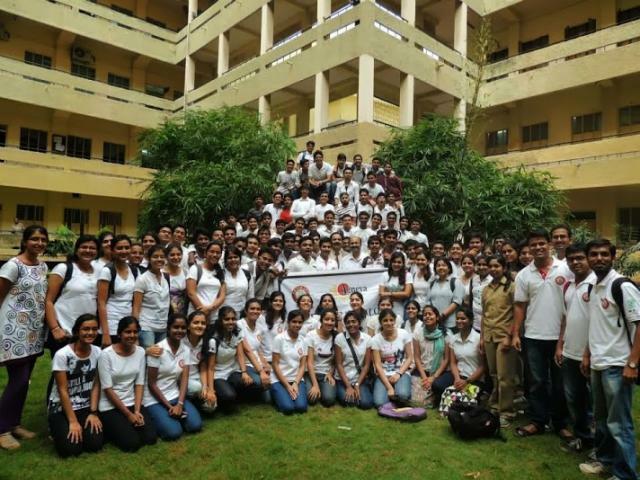 It is also one of the top 5 colleges in Bangalore. My course fee here for the B.E course is 47,000 for one year. Placements of the BIT, Bangalore are good with Oracle, Bosch and Google visiting the campus. I did not intern anywhere as such but some other students had and they got it easily. The college also offers us training for the same. 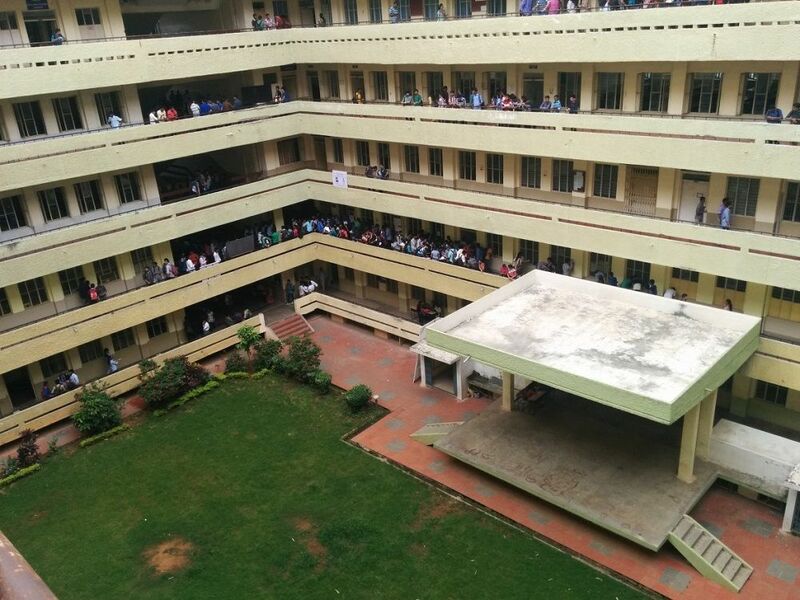 BIT, Bangalore has spacious classrooms. We have morning classes beginning at around 8-9 depending on the time table for the day. The teachers are good and co-operative. Overall, it was a good choice. BIT, Bangalore has two hostels. Separate hostels are available for boys and girls. Food provided in the mess is quite decent. Other facilities such as water and sports are also available. Clubs, here are not much prevalent. However a fest named Manthan is conducted every year. It offers students great opportunities for fun and learning. Laboratories of BIT, Bangalore are also well equipped. Proper practical sessions are conducted. Canteen and xerox shop are available. BIT has a conducive atmosphere for students. I joined the B.Tech course after clearing the Common Entrance Test (CET). The admission process includes the marks of 10+2 with PCM are also evaluated. COMED-K entrance exam can be taken as well. The college alumni swears by the placement cell. It's quite efficient. Last year more than more than 300 students were placed in companies like Google, Wipro Technologies, Infosys and others. I especially like the Ted talks conducted by the student forum which is quite enriching. I am also part of the literary club called “Elevate." 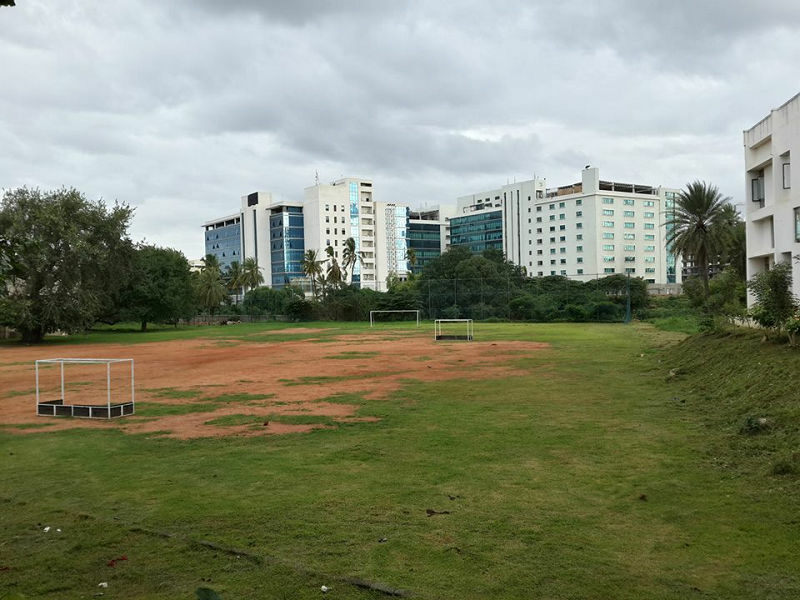 There are a number of other clubs which students can choose based on their preference: Aikya Dance Club, Sanskrithi Kannada Club, Crossfire Quizzing Club, BIT-Tech Technical Club I like the canteen and the library of BIT: Spacious, clean and well stocked. It has a huge auditorium and brilliant Labs. Although I have not availed hostel facilities, my friends in hostels say that gender segregated, well furnished hostels are available on campus. For a degree of Bachelor of Engineering one has to mandatorily pass a P.U.C. Exam conducted by Karnataka Government. Also one should have obtained a minimum of 45% marks in 10+2. The Exam is not too tough to pass. For the year of 2017 Cut Off for BE in Civil Engineering went upto 45,000. It's a four year programe which costs around Rs.1,85,000 in grand total. Various Government Scholarships are available for students. Not really sure of and specific scholarships provided by the College as I did not avail any. Placement Scenario of the College is not very stringent. Students get a decent package starting from Rs 35,000 per month initially with companies like Nokia, Siemens recruiting. Hostels are available for students from outside Bangalore. They are not available for all and mostly available on first come fist serve basis. BIT has a good faculty. However, in my department i.e B.E the faculty is okay. The College organizes a yearly fest called MANTHAN, which is one sought after cultural event for all the regional colleges. Admissions are done on the basis of written exams followed by interview. BIT follows the guidelines of VTU for its minimum eligibility and admission procedure. Placements are very good for CS, ECE and IS, placing almost 100% students with an average package of rupees 10 lakhs a year. Placements for mechanical and other departments are pretty average, 60-75% students gets placed with an average package of 8 lakhs. The college's placement cell is very supportive conducting workshops and seminars guiding the students very efficiently. The faculty of the college is highly qualified and have experience of 20-30 years of teaching, which helps us to make our concept clearer. Faculty and Student have a friendly environment promoting positive learning. I gave COMEDK UGET for admission into BIT. The cut off for BE Computer Science & Engineering is around 3000 every year. The Institute also gives admission on the basis of marks scored in JEE Mains and KCET for undergraduate courses. The college fees is around Rs.57,000 per year which is less than the fees of most of the engineering colleges. The college also helps students avail education loan if required. The college has a training and placement cell which provides internships and placements to the interested students. Companies like Netapp, IBM-ISL, Robert Bosch, Walmart and Unisys have been providing internships and placements to the students. The highest package offered in 2017 was of Rs.14 lakhs/annum. There are 3 canteens within the college campus. The campus also provides facilities like photocopy shop, library, labs and hostel. There are separate hostel facilities available for boys and girls. The hostel is located a little far away from the campus and provides mess facility. The college organizes various fests and events like 'Manthan'. Ethnic day is celebrated once every year. The college also organizes various awareness programs which are held in Kuvempu Kalakshetra. Each semester has 3 internal exams of 25 marks each, end semester exams and end semester lab exams. Bangalore Institute of Technology is one of the top 5 ranked private engineering colleges. Although there are direct admission packages provided by the college you can get admission through JEE Main scores and CET scores. For B.Tech in Computer Science and Engineering the cut off for CET was around 1500. The course fees for Bachelors in Computer Science and Engineering is around Rs 55,000 every year. The college provides assistance to students to get government scholarships. Student loans are given by many banks as well. The college does not provide any internship opportunities. You have to arrange for it yourself. For Computer Science branch the placement is 100%. The average salary package is around 3.5 lakhs and it goes as high as 12-13 lakhs. A lot of top companies come for the placements - HP, TCS, Accenture, Tesco, Mahindra etc. The boys hostel is on campus while girls campus is located of campus. You have to share a room with 3 other students. The hostel food is alright. The hostel fees are around 75000 for every year. Overall the faculty of the department of Computer Science is quiet good. Almost all professors are highly supportive and communicate well with the students. They are friendly and always willing to clarify doubts and explain coursework. There are lot facilities in the college - a huge library, functional labs, AC auditoriums, cafeterias. There is a gym and computer lab. There is a huge playground that is very well maintained. For those of us from Karnataka itself, we needed to clear the KCET exam and it's compulsory to have Physics Maths and English as compulsory subjects in +2 . As for those outside our state, COMED-K scores are accepted. Online applicants need to apply from the KCET website and pay online too. And at the time of online application scanned photos of our signature, left thumb impression and photo had to be uploaded. Our college is very good as far as placements are concerned. In 2017-2018, 665 students were selected from our campus by companies such as Tech Mahindra, Berger Paints, Sonata, Larsen and Toubro etc. My hostel is very good with all required facilities such as furniture, wifi, laundry service and we get north and south Indian vegetarian meals. We have 5 hostels for boys and 2 for girls. We have good departmental labs ,incubation centre, a central library and our campus is an IBM centre of excellence.